We offer world-class diagnosis and treatment for our patients, who present us with all the variety offered by the third largest city in the United States. As part of The University of Illinois Hospital and Health Sciences System, our mission includes community outreach, education on voice care, and the scientific exploration of all aspects of voice. Unique to humans, the voice communicates, inspires, educates and entertains. It is our mission to maximize each voice according to a patient's needs - whether the individual be a professional voice user (teacher, clergy, trial attorney) or a vocal performer. All voices are welcome! We have assembled a team of highly trained professionals who create a personalized plan to restore and maintain each voice. Dr. Sims, a fellowship-trained laryngologist, makes an assessment and diagnosis according to the latest scientific research with state of the art equipment. He has assembled a team that can offer an array of appropriate options: medical, surgical, behavioral, and if desired holistic. Our speech pathologist, Jan Potter Reed, is a voice specialist and offers a wide range of treatment options with the goal of restoring each voice to its maximum potential. 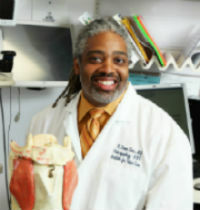 Dr. Sims is the director of the Chicago Institute for Voice Care at the UIC Medical Center in Chicago. He is a board certified laryngologist who chose a career in professional voice care as an extension of his two passions. A graduate of the Yale University School of Medicine, H. Steven Sims, MD completed a research fellowship at the National Institute on Deafness and Communication Disorders as well as a clinical fellowship at the Vanderbilt Voice Center. 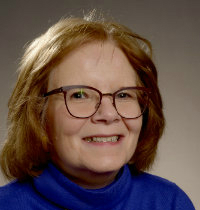 Read More..
Jan Potter Reed, MS, CCC-SLP, a licensed speech pathologist, joined the Chicago Institute for Voice Care in October 2012 as a Voice Specialist. Ms. Reed has extensive experience as a speech pathologist at more than a dozen Chicago-area hospitals, rehabilitation facilities, and physician offices. She will work with the Institute’s patients on voice rehabilitation and coaching. Read More..